Please note that due to very limited space in the Belvedere Private Dining room, early reservations are highly recommended and will be restricted to members of the three military service academies associations of graduates up until Saturday, 12 May. After that, reservations will be open to other military service members, veterans, Parents’ club members and their spouses. Cancellation deadline for refunds is 23 May. Those wishing to attend after reservations are full may contact Greg Shuey below to be put on a waiting list. 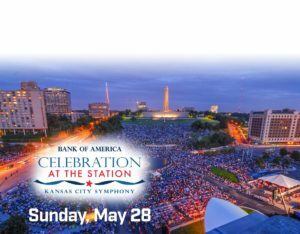 Symphony Seating: As always, the KC Symphony is providing a free Memorial Weekend concert, the largest in the country, followed by a major fireworks display. A limited number of Free VIP passes for reserved seating are being provided to each service academy alumni group in chair-back seats up front near the Symphony pavilion. Each service academy alumni group is making a block donation out of their Treasuries to the Kansas City Symphony. That got us 18 seats. 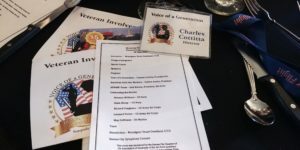 In that event, if you want to register for possible reserved seating, immediately send an email to Bob Culler, Chapter President, with the number in your dinner party who will be attending the concert. If we go over the allocated 18 seats for Navy you may be asked to make a $25 donation to the Kansas City Symphony, so register early please. Donations: Those wishing to honor our WWII veterans with a donation towards their dinner may do so upon registration. Questions: Contact Greg Shuey at: gshuey@tensortech.com or 913-894-8887. Navy please contact Bob Culler USNA Kansas City Alumni Chapter President bculler@sbcglobal.net. 913 488-6319 mobile phone. Very Important Dinner Reservations: Reservations should be made at http://www.cvent.com/d/ggq1sf and should be prepaid with a credit card. $65 per plate. Agenda for Dinner at Pierponts 2017. Charles Cottita guest, Director Voice of a Generation, was a sponsor. 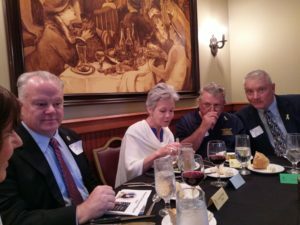 Dinner organized by Lt.Col Greg Shuey, USAF Ret. (USAFA ’68). Invocation by Monsignor Stu Swetland, USNA ’81. 2017 Dinner at Pierpont’s inside of Union Station honored five WWII vets speaker was Debbie Austin, President American Gold Star Mothers. USNA Chapter mustered 26 out of the 63 total attending the dinner. 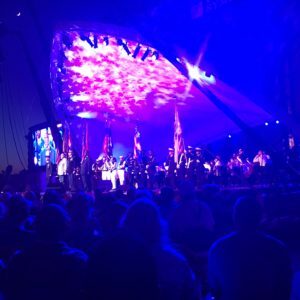 The Kansas City Symphony 2017 patriotic concert featured the centennial of WWI and honored military veterans in attendance. 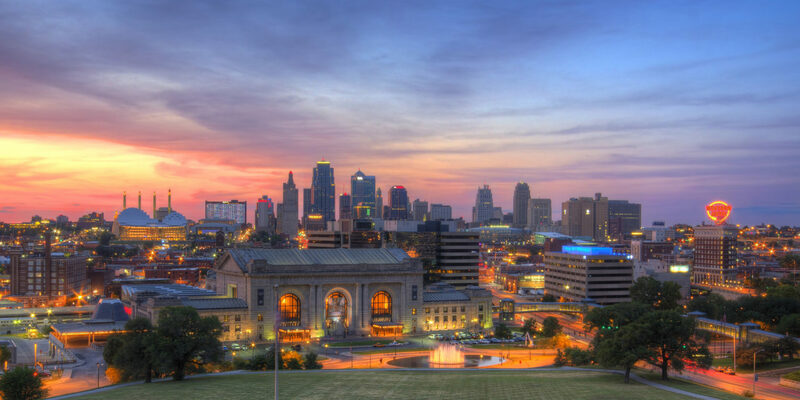 Concert was televised by KCPT public television in KC. 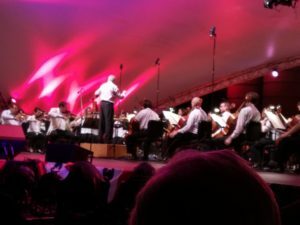 The 2017 Kansas City Symphony directed by Michael Stern played a medley of patriotic music.